The Astronomical Observatory “Fabio Muzzi Giovagnoni” is situated at the top of the Collamarini liberty-style building in Jacchìa square, inside the Margherita Garden Park in Bologna. The present group is the direct heir of a famous group that operated in this place approximately half a century ago. A group of people who are now some of the most important members of the Italian and international amateur astronomers. 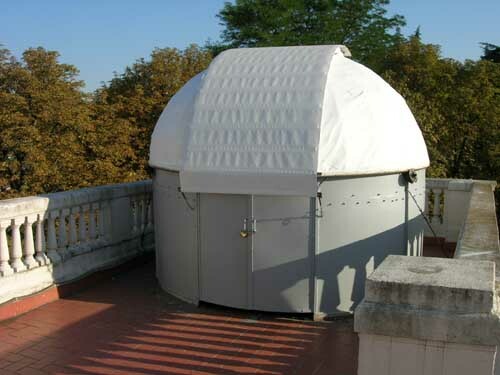 Today the observatory is constituted by a dome of 3 m in diameter, recently restructured, that accommodates a Celestron CM 1100 telescope, a Schimidt Cassegain of 11 inches, on a German equatorial mount. The instrument was bought by S.Stefano City Department, and was given in management to the Margherita Garden Park Cultural Association. 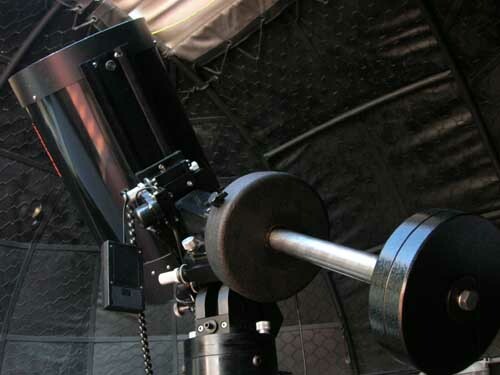 The members of the amateur astronomers group are enrolled to this association. The Margherita Garden observatory is perhaps the only observatory in a stable position present at the moment in our town, with the advantage of being easily reachable by anyone in only a few minutes, however the light pollution has enormously increased nowadays and this heavily limits the telescope's operating capability. In fact the night sky, always very luminous, makes almost invisible, the diffused objects like nebulae. For this reason our activity is, at this moment, mainly oriented to the recording of planetary images, by webcam. Our activity is essentially developed in two directions: first in the direction of research in astronomy, and so at the moment we are trying to affinate the techniques of recording and elaboration of planetary images. In addition We are estimating the possibilities of the use of a CCD, already in our possession, in photometry works. Secondly the group target is to increase the interest of both young and old people in that wonderful science of astronomy. For this purpose evenings opened to the public are organized periodically. Usually the evenings dedicated to the public are monthly but upon request for groups of certain number of persons, the meetings can be carried out anytime. We also organize, annually, a course in astronomy opened to all. Information on the dates and the program are available from the already mentioned Association.